Check out the hip extension in the 5th frame (counting left to right, top to bottom). His entire torso is extended, from feet to the top of his head. 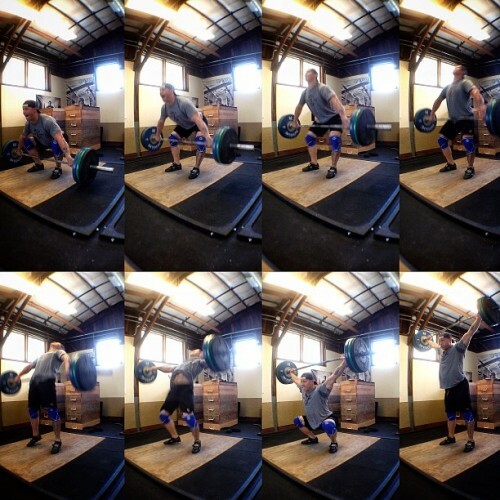 This is a great visual reminder of what you want to look like *before* trying to get under the bar. Look at the difference between the 6th and 7th frame. The speed with which he drops under the bar is so fast the camera didn’t catch it.